1. We offer Ireland's Filming Incentive of up to 37% of 80% (of your film budget) upfront as well as additional finance. - The minimum spend in Ireland is €125,000 and the maximum amount eligible is €70,000,000 per film. - These monies are only accessible upon 100% of the film finance being secured. However we can offer you an LOI [Letter of Intent] to finance this portion of your film so you can secure your additional financing. 2. The incentive includes above and below the line expenditure, regardless of the cast and crew's nationality. 4. This funding is available to film, TV and documentaries filming in Ireland. Take a little look at what Ireland has to offer by visiting the captivating links below. 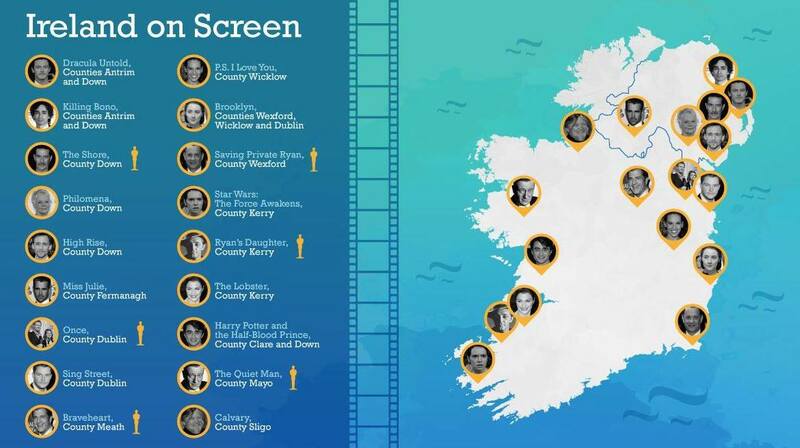 Did you know all these films were shot in Ireland?